1. For safety reasons all attractions have specific conditions of access and general conditions of use the must be fulfilled in order to guarantee the safety and enjoyment of our visitors. 2. You must follow at all time the indications of our staff in order to enjoy the attractions properly. 3. While you are riding an attraction you must remain seated. You are not allowed to stand up, stretch your arms or legs out of the cars or to do anything else that could be dangerous for passengers or the general public. 4. Visitors with physical or intellectual deficits that hinder the application of any established safety measure will be prevented from riding on an attraction. 5. Remember to leave your personal belongings, such as mobile phones, glasses or keys with someone that is not riding on the attraction. 6. 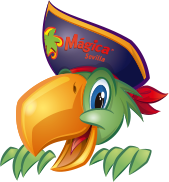 Isla Mágica will not take any liability for any object left behind, lost or damaged in an attraction nor for an damage such objects may cause. 7. For safety and hygiene reasons and as sign of respect for other users, it is mandatory to wear proper shoes and cover your torso. 8. Access to attractions wearing wet clothes is not allowed, except in Anaconda, Iguazú, Rápidos del Orinoco, Los Náufragos and Los Bucaneros. 9. Remember that it is not permitted to smoke, eat or drink in the attractions, including the queues. 10. People under the influence of alcohol or drugs will be prevented from riding on attractions. 11. The capacity of the different attraction cars determines the maximum number of passengers. Such capacity will be determined at all times by Isla Mágica’s staff based on the number of visitors intending to ride on the attraction. 12. Failure to comply with any of the specific conditions of access and/or general conditions of use, as well as causing any quarrel, dispute, material damage or any other action that may be harmful for Isla Mágica or any third party will result in expulsion from the park without refund of the entrance ticket and without prejudice to any appropriate legal action that may be adopted. 13. Any action aiming at fraudulent access to attractions, such as any manipulation of shoes or similar is strictly prohibited, and it will be considered of articular gravity in case of underage visitors. Such behaviours may result in expulsion from the park without refund of the entrance ticket and without prejudice to any appropriate legal. 14. In case of total or partial evacuation of any of the attractions, always follow the instructions of Isla Mágica’s staff. 15. Isla Mágica may change the opening and closing times of attractions, as well as suspend their operation for justified weather, technical or operational reasons. 16. 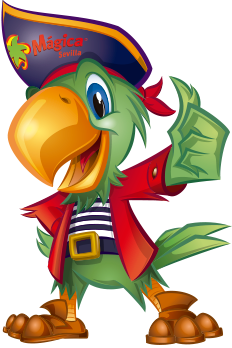 Isla Mágica shall not be held liable for any personal and/or material damages resulting from the failure by passengers to comply with the conditions of use of attractions. 17. The Agua Mágica area has its own conditions of use, both general and specific for each of the water attractions. All of them are mandatory and are displayed in the access points to the area.